As a homeowner, your home’s safety is one of your top priorities. Most people are accustomed to handling risk factors such as a broken lock or a cracked pipe right away – but when was the last time you checked the electrical outlets in your home? 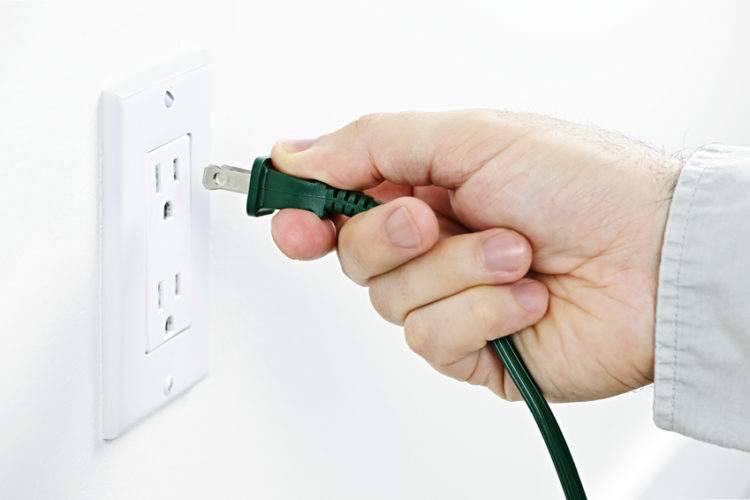 Outdated or damaged electrical outlets are dangerous and need to be replaced quickly. But how do you know whether an outlet is broken or outdated? The electrical system inside your home can become damaged over time. With advances in safety features and updates to building code, it can also become outdated. Your outlets only have two prongs. One of the most obvious signs you have outdated outlets is if they only have holes for plugs with two prongs. Two-prong outlets may be so old they are unable to keep up with power you need for regular appliances. They’re also ungrounded, which means they pose a greater risk for shock and fire hazards. You may need to have your electrical panel rewired if you have two-prong outlets. Talk to your electrical contractor before switching out your outlets for three-prongs. Your cords come unplugged or fall out of the outlet. Another sign you have outdated outlets is when your plugs fall out on a regular basis. This means you have worn out outlets and are not creating solid electrical connections. Although this may not seem like too big of a deal, it can, in fact, be a major risk for house fires. Your outlets are discolored. You may have seen discolored outlets in older homes. This is a major warning sign indicating you need to replace your outlets. Outlet discoloration is a sign your outlet has been improperly installed, damaged, or burned. One of the most common causes of discolored outlets is a short circuit. Short circuits can leave burn marks and easily start fires. Immediately stop using the outlet and contact an electrical contractor. Whether you’re looking for new and improved energy solutions, lighting retrofits, or backup generation services, Amos Electric has what you need. To learn more about how to improve electric bills with power by Amos Electric, contact us today.